Home Celebrations We'd love to celebrate a new Celebrations Editor - could it be you? We'd love to celebrate a new Celebrations Editor - could it be you? Sharing members' good news by editing W&P's Saturday morning Celebrations is a lovely job - everyone loves you! 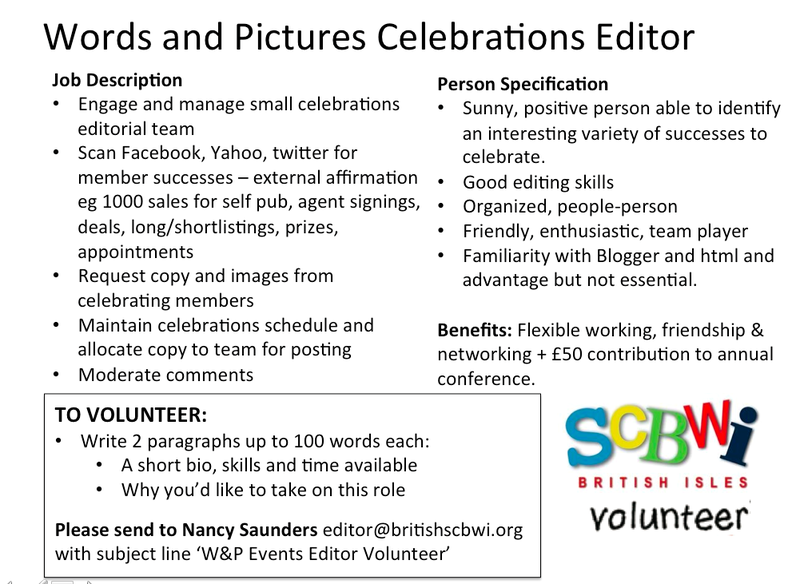 If you're a @SCBWI_BI member, have a sunny disposition, spend more time than is good for you on Facebook and can deliver members' good news with lots of joy, virtual cake and fizz, please do study this card! Very much looking forward to hearing from you ! Have we found an editor for Celebrations yet?